The content will remain the same. 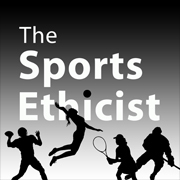 Shawn E. Klein, Ph.D. will still host show and discuss the ethical and philosophical issues in sport with experts in and out of academia. Most of the changes are on the backend. In order to grow and develop the show, it will strictly be a podcast. It will no longer be broadcast on Rockford College Radio. If you current subscribe through iTunes, you will need to subscribe to this new show. The old shows will all still be available.